The monthly report by Dr. Katherine I. Pettus, PhD, IAHPC Advocacy Officer. I learned this new expression, ‘white ravens,’ at a Brussels meeting of the UN-funded PACE Project ‘Palliative care for older people: why we all need to care, now,’ where researchers presented their final report on palliative care in European long-term care facilities. Invited experts were then tasked with group work to reflect on how to advance PC for older persons in policy and service delivery. The meeting was co-hosted by Age Platform Europe and PACE program coordinator and Vrije University palliative care Professor Dr. Lieve Van den Block, who explained that one of the challenges of implementing long-term care is finding experienced palliative care coaches to transform facility culture. 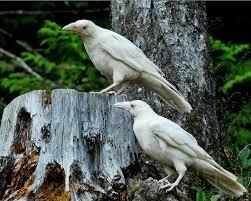 In a side conversation at lunch, she said these coaches were ‘as rare as white ravens.’ In order to ensure that no older person dies in pain in nursing and care homes in Europe or elsewhere, she added, palliative care advocates need to find and train more of these ‘white ravens’ to transform the culture and practice of long-term care institutions. Examine how care homes are organized in Europe and how palliative care in care homes can be improved for older people in a free online course. The course, available for 5 weeks as of April 1, is constructed to be 3 weeks long. 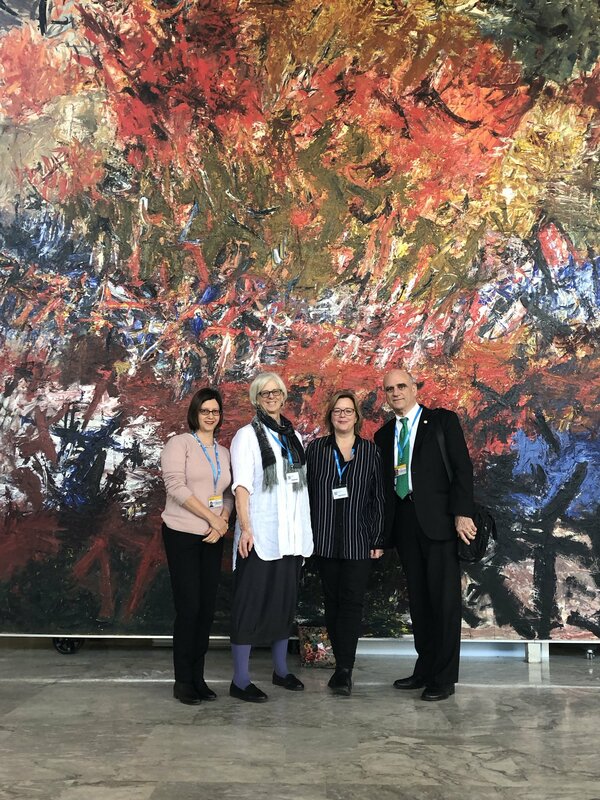 (L-R) Ms. Heloisa Broggiato, IAHPC; myself; Ms. Sharon Thompson, and Dr. Stephen Connor, WHPCA delegation, at the 144th meeting of the WHO Executive Board. Stay tuned for my March report on CND, its side events, and the High-Level Meeting on Palliative Care in Central America taking place in Panama City on 12-13 February 2019.